All the stored components of the SQL Server database MDF and NDF file like Tables, Triggers, Stored Procedures, Functions, Indexes, etc. are recovered. In addition, related items like Primary, Unique keys, columns, keys, etc. can be retrieved without limitation. Two types of scanning modes that are 'Quick' and 'Advance' are featured in the tool to ensure complete recovery regardless of the severity of corruption. The former scanning mode can be used for minor corruption issues whereas the latter for severely damaged files. 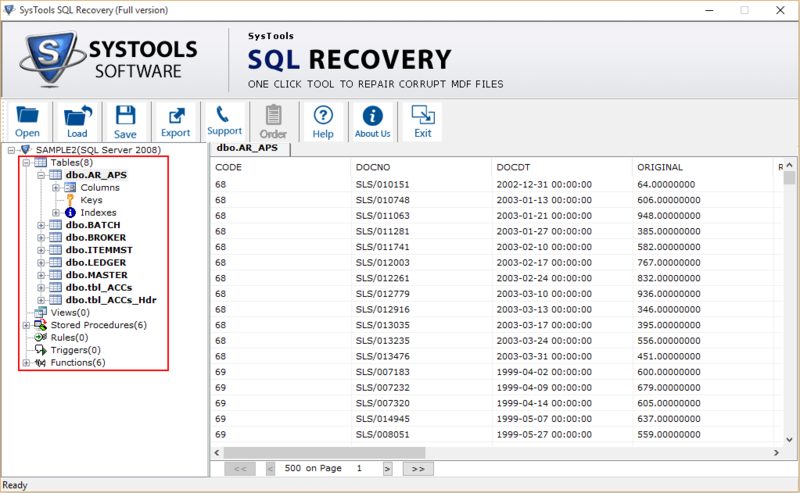 Both primary and secondary database files of SQL server that is MDF and its related NDF respectively can be recovered without data loss i.e. the utility can repair MDF file. It ensures recovery without fail and also provides preview of the recovered items before exportation. The software is designed in a way that even data of permanently deleted table's can be recovered. However, to recover hard deleted items from the server database Advance scan mode must be utilized for the scanning of the server database file. The latest version of SQL server i.e. 2014 is also supported by the recovery application to recover corrupted MDF file. 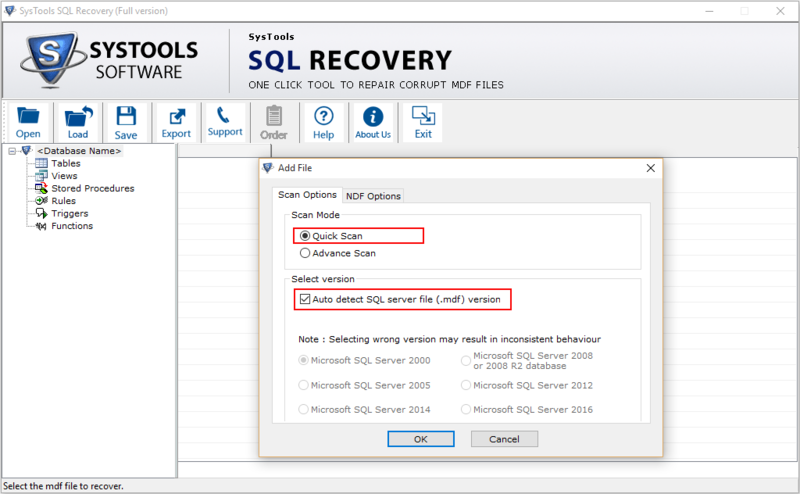 It is not just recovery that is supported but also exportation into the database of SQL Server 2014 edition is possible. All release of Windows operating system is provided support for be it new or older editions. Including all the previous releases the latest, which is 8 and its extension 8.1 is also supported. Also both 32 and 64-bit versions of Windows OS are rendered support by tool. The scanned files of the server database can be saved as STR file at any desired location on the system. This feature assists users in saving time of the recovery process, if due to any reason the execution of the recovery utility has to be stopped in between. Preview of all scanned and retrieved database items is provided by the recovery tool before exportation. The components comprise of columns, triggers, keys, indexes, procedures, tables, functions, etc. and that too with item count in its built-in MDF file viewer of SQL. 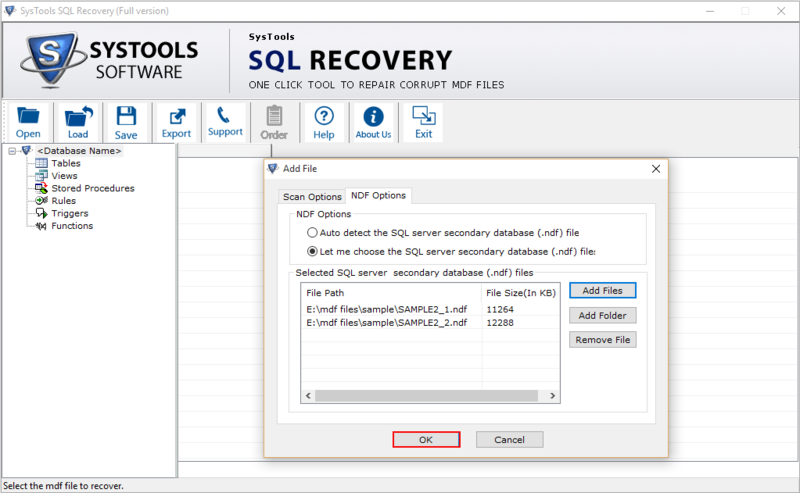 "SQL Recovery is truly an amazing recovery application for the retrieval of SQL server database files. It helped me in recovering the damaged MDF and NDF files without any hindrance and without any data loss. I got much more from the product than I has expected. Thanks a lot to the Company and its esteemed application." 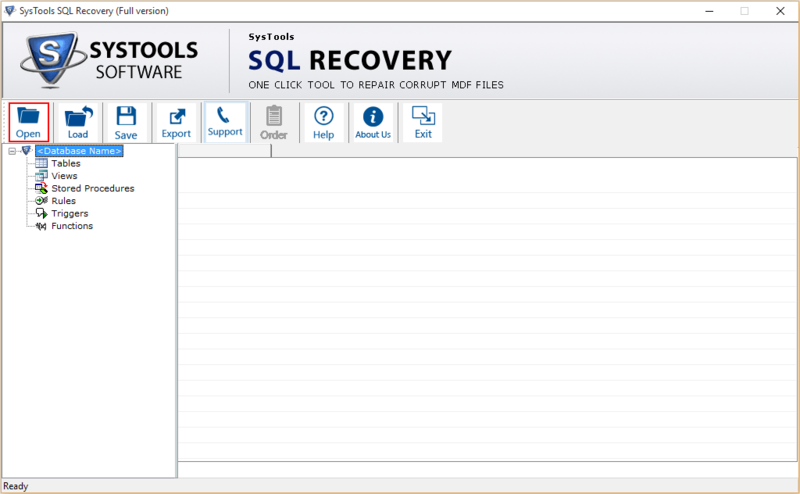 "I am so very impressed by the features and working of the SQL Recovery tool. I did not find such advanced capabilities in similar multiple applications that I searched for. The features available in the tool are truly advanced and the support team that I talked to were actually very technically sound. Thanks a lot."